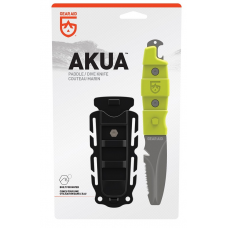 AKUA RESCUE + DIVE KNIFE NAV GREEN Whether you're diving the reefs or paddling ..
GERBER HINDERER RESCUE SERRATED KNIFE Engineered for those brave souls running into the ..
MUGNUM EMS RESCUE ASSISTED KNIFE This series of highly functional rescue knives is dedicated ..
MUGNUM FIREFIGHTER O2 WRENCH KNIFE Functional and reliable rescue knife. 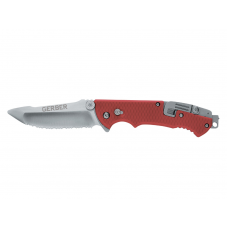 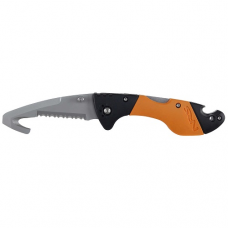 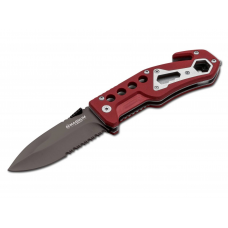 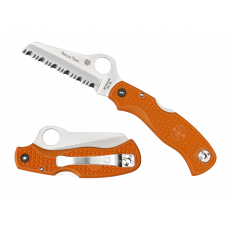 In addition to the o..
CAPTAIN RESCUE KNIFE The folding, lock-blade NRS Captain Rescue Knife is a great choice for g.. 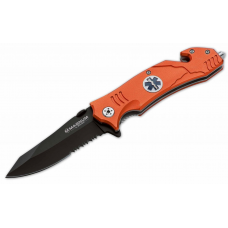 RESCUE 79MM™ LIGHTWEIGHT ORANGE A smaller equivalent of the C14 93mm Rescue, it too has a f..